our team documented in their recent book, Politics with the People: Building a Directly Representative Democracy. "A gift to the Congress and to the citizens of the United States." How I wish this tool had been available when I served in Congress –it could finally change the tenor of our public debate and at last include citizens into Congressional decision making in a meaningful way. Quite frankly, because Politics with the People is a book for this moment. Congressional staffing levels have been continuously cut since the 1990s, while the amount of communication staff are expected to handle has increased more than tenfold. Advocacy groups have weaponized traditional opportunities for constituent engagement. And yet, with more ways than ever to communicate their views to their representatives, most citizens say they have never felt less able to make a difference. This disconnect makes it much more difficult to engage the broad public whose support is necessary on tough policy choices, contributing to a widespread loss of trust in government and potentially undermining the legitimacy of government and its actions. In 2006, thirteen sitting members of Congress – frustrated and dissatisfied with status quo politics and limited opportunities for constituent engagement – agreed to work with a team of political science researchers and groups of their constituents on a set of unprecedented field experiments. authenticity—participating Members were encouraged to be candid and responsive to questions, rather than giving a speech or presenting an infomercial. These online deliberative sessions attracted every kind of citizen—the citizens who voluntarily participated in these deliberative were more representative of the country than the electorate. The design of the deliberative events—with participants reviewing non-partisan back materials and engaging in deliberation guided by impartial facilitators—resulted in high-quality, informed conversations, not talking points and simplistic arguments. 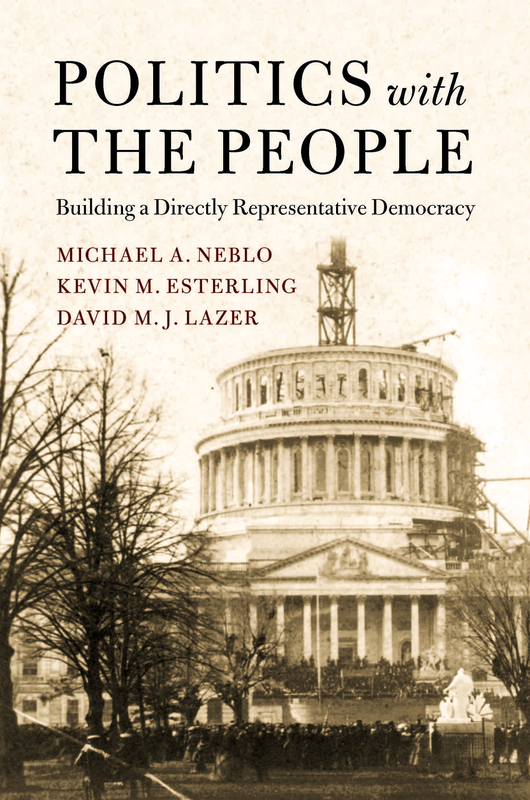 Politics with the People comprehensively documents these findings, and, just as importantly, offers a realistic vision for making them a mainstream part of our political system. Connecting to Congress is our initiative to learn how to do that as effectively as possible.